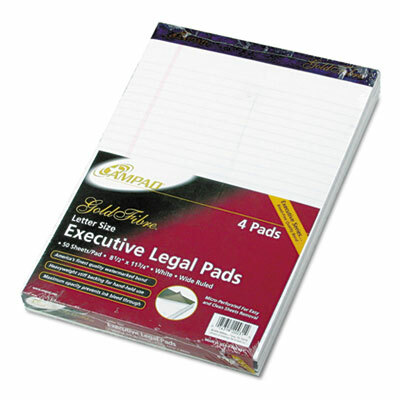 This watermarked ruled writing pad features a fine quality weight 20-lb. paper. Each sheet is micro-perforated for a clean tear. The pad also has imprinted gold ink binding and a stiff chipboard back.